From the Elephants of Tarangire to the amphitheater of mammals in the Ngorongoro Crater to the large populations of Serengeti predators this safari explores various habitats searching for the Big Five. Considered to be one of the most beautiful and scenic routes to climb, you pass through tropical montane rain forest to the snows of Kilimanjaro. Climb with the chief guide, an assistant guide, cook, and porters. The Southern Parks of Tanzania boast incredible wildlife and varied habitats. 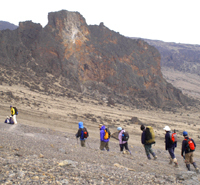 Follow the footsteps of the great explorers, who trekked thru Mikumi. 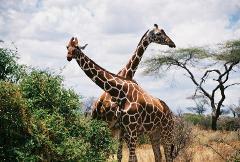 Continue to the Ruaha National Park and end at Selous Game Reserve, a World Heritage Site. As you look down upon the Ngorongoro Crater and across the vast plains of the Serengeti, you will soon realize the magic of Safari. Experience the wild, the savannah and the African sun from the moment you arrive.